At the request of the Irish Sports Council the Padel Federation of Ireland has put in place a process for vetting all professional staff and voluntary staff connected with the federation. All clubs and staff involved in them must go through the vetting process. It is critical that all applicants fill in this form exactly as instructed. 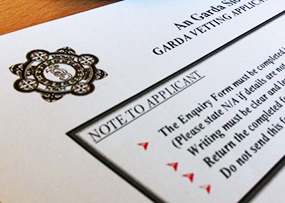 Applicants who fail to complete the form in full will not have their application processed by the Garda Vetting Unit until all sections are filled out in full.